"The storyteller and poet of our time, as in any other time, must be an entertainer of the spirit in the full sense of the word, not just a preacher of social or political ideals." Isaac Bashevis Singer was one of the great storytellers of the twentieth century. His writing is a unique blend of religious morality and social awareness combined with an investigation of personal desires. Though his work often took the form of parables or tales based on a nineteenth century tradition, he was deeply concerned with the events of his time and the future of his people and their culture. 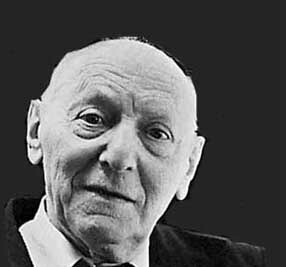 Isaac Bashevis Singer was born on July 24, 1904 in Radzymin, Poland. His parents were religious Jews and pushed him towards a career as a religious scholar. In 1921 he enrolled in Rabbinical School, but left only two years later to work for a Yiddish literary magazine. Though his rabbinical studies would remain a strong influence on him, he longed to be a part of a literary community. Working as a journalist, translator, and proofreader, Singer began to write short stories on the side. By 1935 he had published his first book, SATAN IN GORAY (1935). That same year, Singer followed his brother, Isaac Joshua Singer to America. Isaac Joshua Singer is considered one of the major Yiddish writers of the twentieth century, and was the first and greatest literary influence on his younger brother Isaac. In New York, Isaac Bashevis Singer began working for THE JEWISH DAILY FORWARD, a Yiddish newspaper dedicated to issues of interest to its newly immigrated readership. During the 1940s Singer published his work in a number of journals as well as serially in the THE FORWARD. Throughout his career, Singer would continue to be a contributor and supporter of THE FORWARD, which remains in existence today as a weekly . Though not primarily nostalgic, Singer’s work hearkened back to a former time. The setting for much of the work was his native Poland, and the writing addressed existential and spiritual questions through folk tales and parables. These works caught the attention of a number of American writers including Saul Bellow and Irving Howe, who were greatly responsible for not only translating Singer’s work, but championing it as well. Throughout the 1960s Singer continued to write on questions of personal morality. One of his most famous novels (due to a popular movie remake) was ENEMIES: A LOVE STORY, in which a Holocaust survivor deals with his own desires, complex family relationships, and the loss of faith. Singer also wrote two novels about nineteenth century Polish-Jewish history before returning to more modern topics in the 1970s. By the 1970s, he had become a major international writer. After World War II there were few Yiddish writers remaining and Singer was not only a vocal proponent of Yiddish writing, but the major figure in Yiddish letters. Throughout the 1970s he wrote dozens of stories that were eventually collected into books, and published in Yiddish and English as well as many other languages. He branched out, writing memoirs and children’s books as well as two other major novels set in the twentieth century, THE PENITENT (1974) and SHOSHA (1978). The same year as his publication of SHOSHA, Singer won the Nobel Prize in literature. For many, this award was bittersweet in that it brought worldwide attention to an important language at the same time it seemed to signal the language’s demise. After being awarded the Nobel Prize, Singer gained a monumental status among writers throughout the world. He continued to write during the last years of his life, often returning to Polish history which so entranced him throughout his early life. In 1988 he published THE KING OF THE FIELDS and three years later, SCUM, a story of a man living in an early-twentieth-century Polish shtetl. 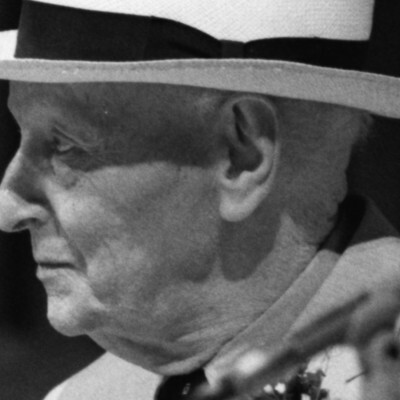 That same year, Isaac Bashevis Singer died at the age of eighty-seven in Surfside, Florida. Incredibly prolific, Singer created an insightful and deep body of work that will forever remain an important part of literary history.